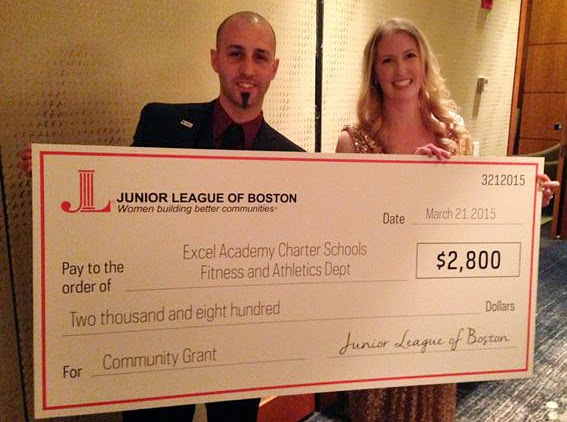 JL Boston Relaunches Community Assistance Grants! - The Junior League of Boston, Inc. The Junior League has been a part of Boston for a long time – 109 years to be exact! In that time, we’ve brought immeasurable time and energy to our community. For many of those years, we provided financial grants to other organizations to do meaningful work aligned with our mission. This year, we are reviving this tradition with grants up to $2,500 to non-profit agencies in Greater Boston whose proposed funding would go towards one of the components of our community focus which is to develop and nurture the self-esteem of girls and young women. In fact, we just issued our first grant in recent memory to Excel Academy Charter School to purchase heart rate monitors to encourage students to increase their activity levels. If you know of organizations that align with our mission that could use a grant to further their work, check out our Community Assistance Grant page and contact grants@jlboston.org for information or an application.